Bellows Assets Recently Acquired by U.S. Bellows, Inc. Located in Houston, Texas, U.S.A.
Charles W. Lortz, Sr. founded the company as “Lortz & Son” in 1947. The business philosophy was simple, “be the best that we could be in the metal fabrication business and provide excellent service to our customers.” The long-term loyalty of our customers today attests to the soundness of the founding philosophy. We have never lost sight of the founding philosophy, and today, providing excellence in service to our customers remains a business priority. We have continued to add machinery and expand our facilities to improve our overall capabilities. The emphasis on customer service and capability improvement, coupled with the knowledge, experience and enthusiasm of our Associates, has enabled Lortz to maintain a reputation as the preferred metal fabricator for an ever increasing number of customers. Our most important assets are our Customers and our Associates. All Lortz Associates are very aware of the importance of providing Customers with the highest quality products and service. Our outstanding reputation with Customers attests to the dedicated effort and superior results of all of our Associates. 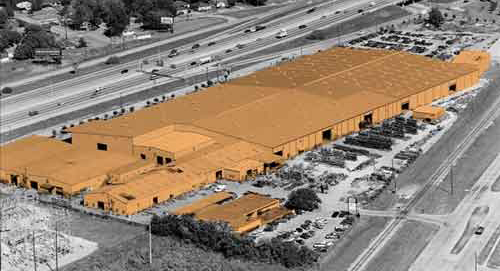 Note: U.S. Bellows, Inc. of Houston, Texas recently acquired the bellows assets of Lortz Manufacturing. U.S. Bellows looks forward to serving your repair, refurbishment, and replacement expansion joint needs.